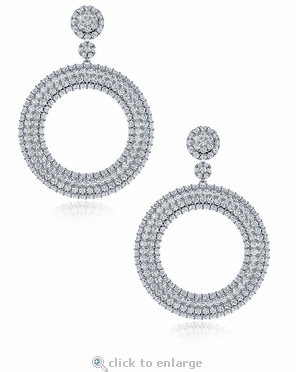 The Farrah Pave Set Cubic Zirconia Halo Disc Hoop Drop Earrings are a brilliant pair of earrings that will become your favorite! 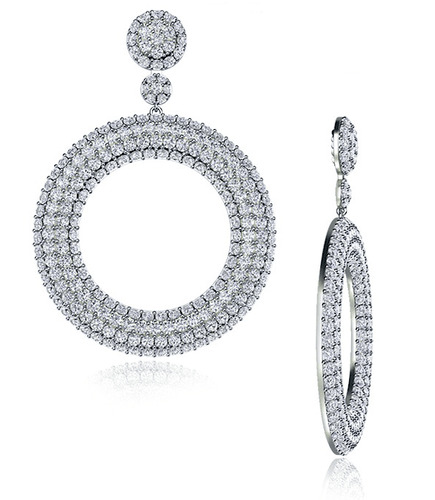 A pave button halo top with a smaller half domed pave connecting drop, are connected to a slightly domed large 1.5 inch pave round circle disc drop. 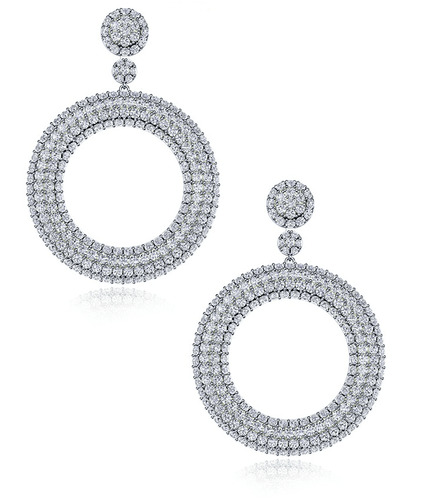 Each earring measures approximately 2 inches in overall length. Our Russian formula cubic zirconia is hand cut and hand polished to exact diamond specifications and is set in high quality mountings made in solid 14k white gold, 14k yellow gold, 14k rose gold, 18k white gold, 18k yellow gold, or luxurious platinum. Stone color options include man made red ruby, green emerald and blue sapphire in addition to diamond look, yellow canary and pink simulated diamond look, please call. For further assistance, please visit us via live chat or call us directly at 1-866-942-6663, option 2 to speak with a knowledgeable representative.